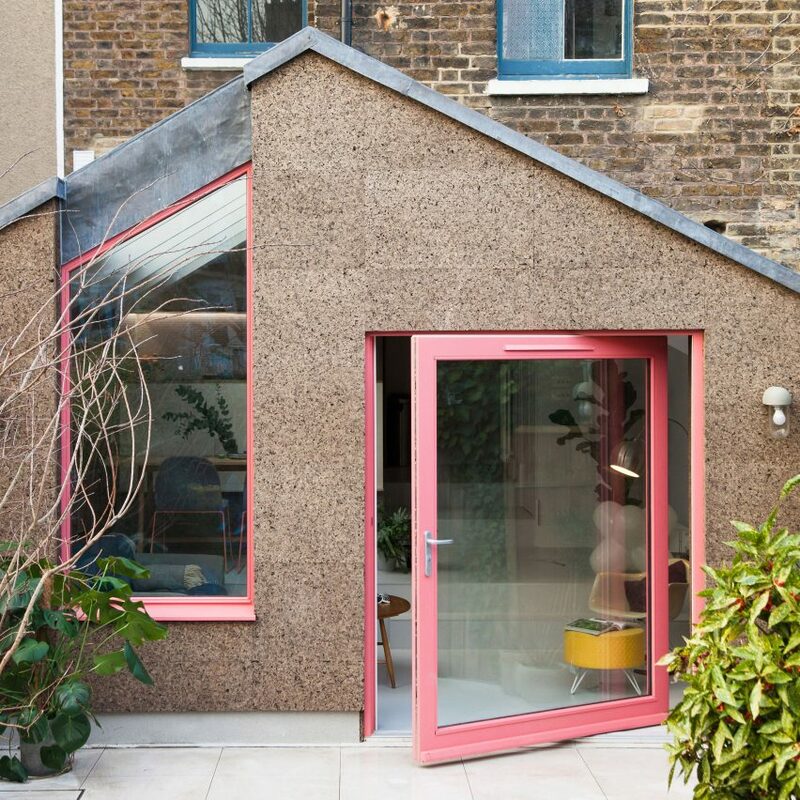 Nimtim Architects has added a extension clad in cork with contrasting pink windows to a Victorian terrace house in south London. 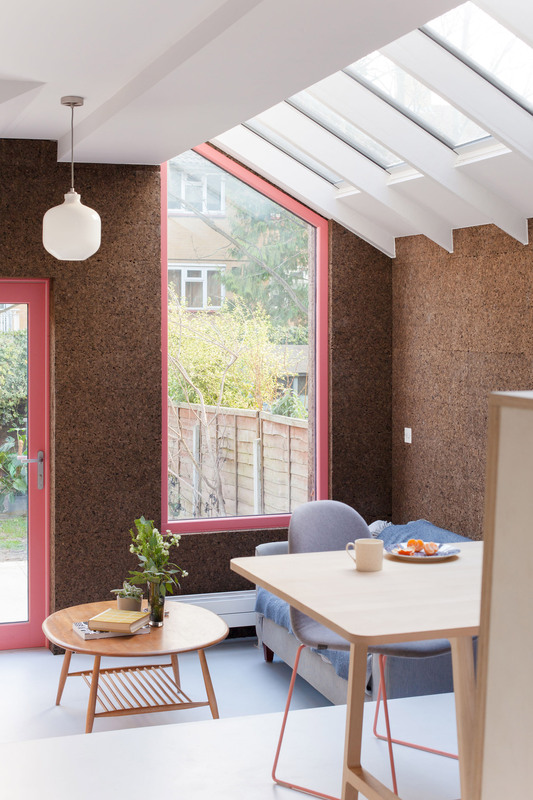 The extension has a simple pitched roof and cork walls designed to complement the dwelling’s existing brickwork, while the window frames offer a bright counterpoint. Named Cork House, it was designed by Nimtim Architects in collaboration with the family of four that own the house. “The form is a playful response to the roof, openings and levels of the existing house,” project runner Allie Mackinnon told Dezeen. Along with complementing the aesthetic of the existing building, Nimtim Architects also chose cork cladding for its sustainable properties. Sustainably harvested from the bark of the cork oak tree, cork is a chemical-free material that can be fully composted or recycled. It is also naturally water resistant, sound absorbing and thermally efficient, meaning the building did not require extra foam insulation. 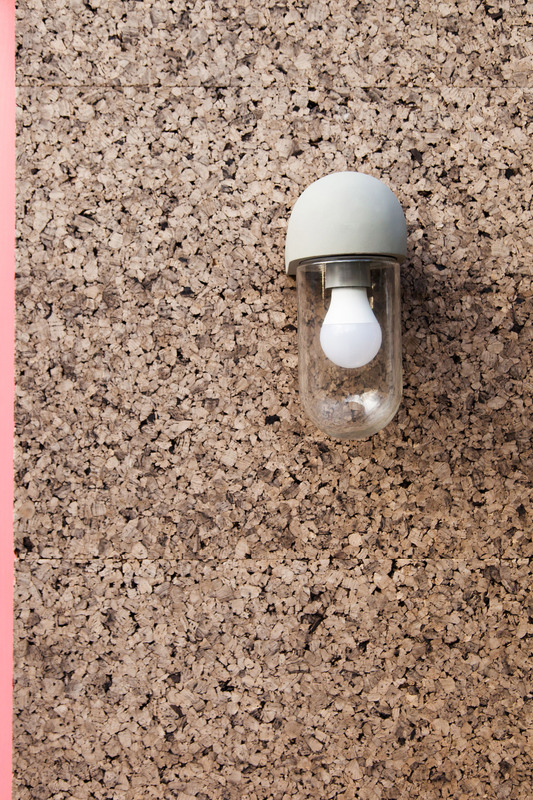 “The cork offers so much as a building material,” Mackinnon said. Inside Cork House, Nimtim Architects designed a stepped internal landscape, which responds to the house’s positioning one metre above garden level. While creating a more seamless connection with the garden, which is accessed through a large pivot door, it also helps define different spaces within the extension. “A kitchen, dining space and informal seating area are defined by their own topography, meaning the whole family can share the space whilst doing different things,” she continued. 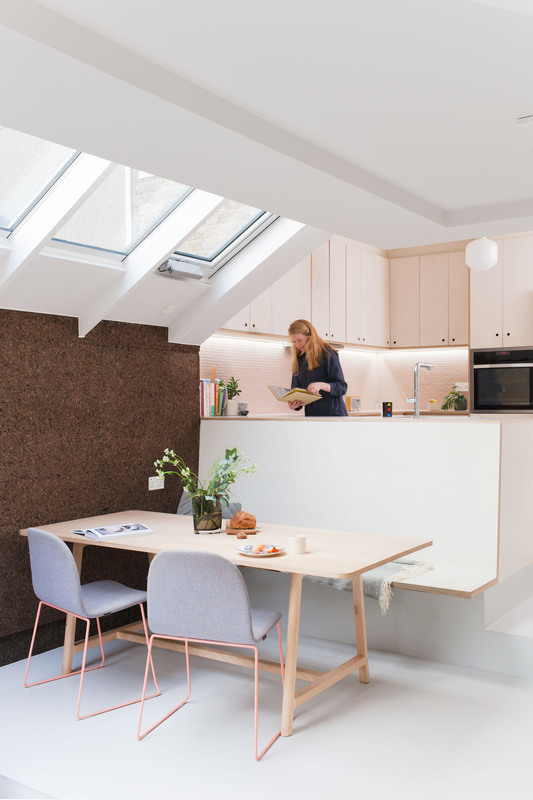 The cork extension is complete with a long window that aligns with a glazed roof light, while the material palette is left minimal, with a pale grey resin floor and light wooden cabinetry that draws focus to the cork walls that are left exposed internally. 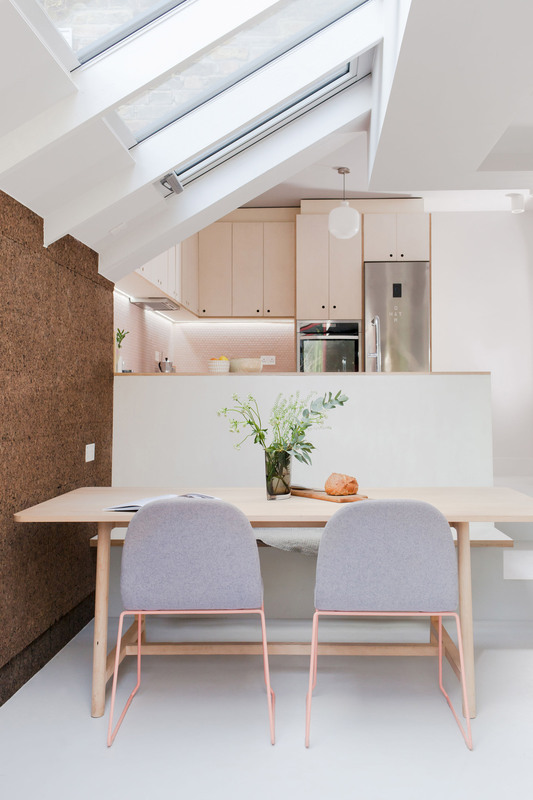 As part of the project, Nimtim Architects also added renovated the first floor of the house and added a loft extension, which contains a master suite. Like the cork extension, both are complete with minimal finishes and white walls, teamed with splashes of colour including a lilac bath panel and patterned tiles. 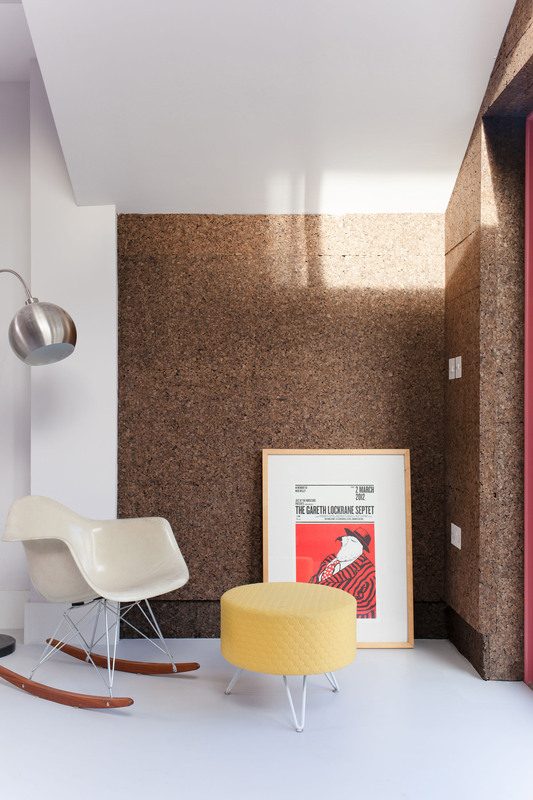 Cork has been used as cladding by several architects in recent years, including Lisa Shell who used it to wrap the timber frame of a cabin in an English salt marsh. More recently, Rundzwei Architekten used it across the facade of a house in Berlin, and Studio Bark developed a cork-building prototype to demonstrates how the material can be used to form an entire building envelope. 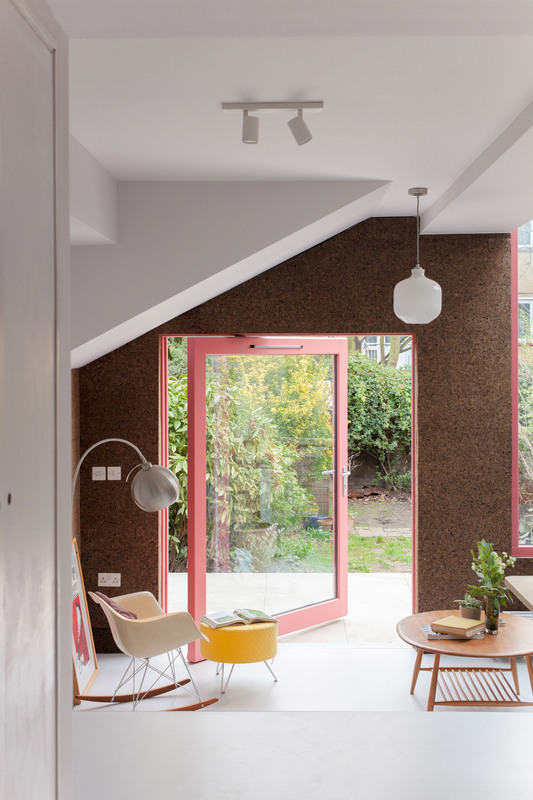 The post Cork walls and pink window frames characterise Nimtim Architects’ London house extension appeared first on Dezeen.